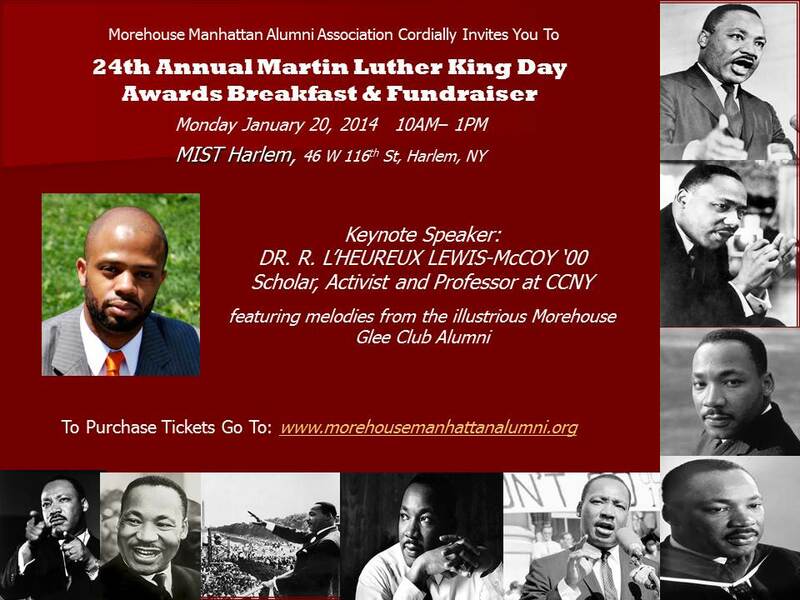 On Monday January 20th, I have the honor of keynoting the 24th Annual Morehouse Manhattan Alumni Association’s MLK Day Awards and Benefit Breakfast in Harlem. This occasion is particularly special for me given that Rev. Dr. Martin Luther King Jr is an alumnus of Morehouse College. I’ll be delivering a message that speaks to King’s legacy and our contemporary necessities for social change. The proceeds of the breakfast go to scholarships and multiple Morehouse Alumni will be awarded and honored. For tickets click here (early bird special ends 1/7/2014).